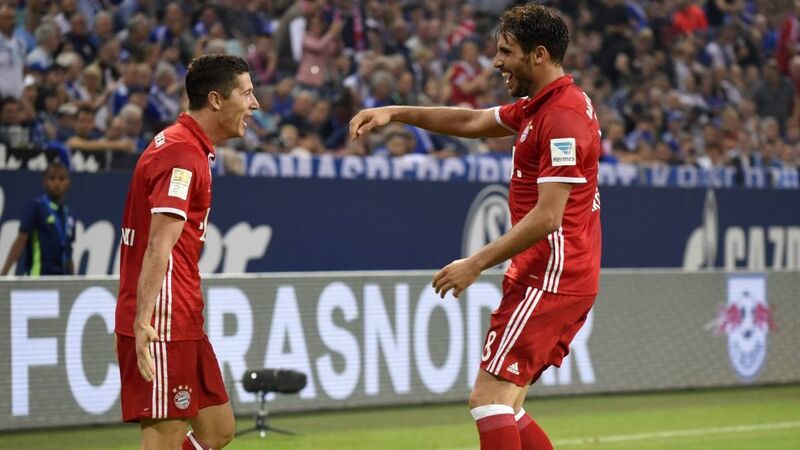 Remaining patient was the key to FC Bayern München picking up a second win out of two Bundesliga fixtures this season by beating FC Schalke 04 2-0 on Friday night, according to Robert Lewandowski. Robert Lewandowski (Bayern striker): "The first goal was incredibly important. We knew we would have to be patient today. We saw in the first half that Schalke were putting in a top performance. At half-time all we talked about was biding our time and we struck when it counted in the second half." Carlo Ancelotti (Bayern coach): "It was the tough game that we had expected it would be against tough opponents. Schalke caused us a great deal of problems and they were a bit better in the first half, while we were better in the second. In the end, we had patience and were able to raise our game a bit towards the end. We're happy to go home with a second win in our second game of the season." Markus Weinzierl (Schalke coach): "We had chances to go in front and maybe should have when Huntelaar hit the bar. Against Bayern you’ve got to be incredibly clinical. Lewandowski's goal decided the game. It's a difficult pill to swallow for us that we've lost the first two games of the season. Now we've got to focus on picking up points on both the domestic and international circuits. Everything was great today expect the final 16 minutes."